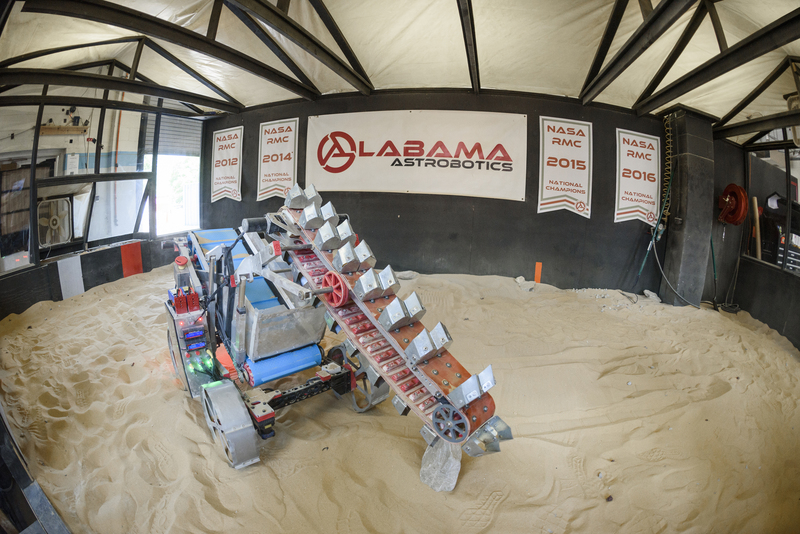 Members of Alabama Astrobotics accepted the top honor at the NASA Robotic Mining Competition. Students at The University of Alabama who competed in a NASA robotics contest came away with the top prize again, making it four straight years for the team from UA to win. Eastepp, a native of New Orleans, Louisiana, said teamwork is critical as students worked from July through the contest this month to design the robot and tackle the new problem NASA presented this year. The robot built by the UA students mined the most gravel of any team in the contest. The team placed first in five out of nine categories that included mining, autonomy, systems engineering paper, efficient use of communications power and outreach reports. In all, the students won $11,000 for use on next year’s robot. 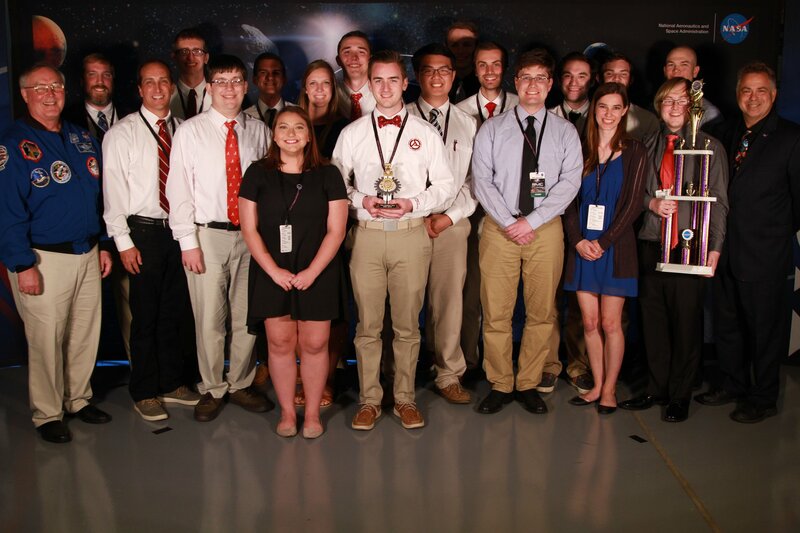 The team received funding from the Alabama Space Grant Consortium, NASA, Dynetics, Fitz-Thors Engineering, Crank N Chrome, and the University.